Keep these numbers handy (251) 653-9333 & (251) 928-1028 in Mobile and Baldwin County, Alabama. 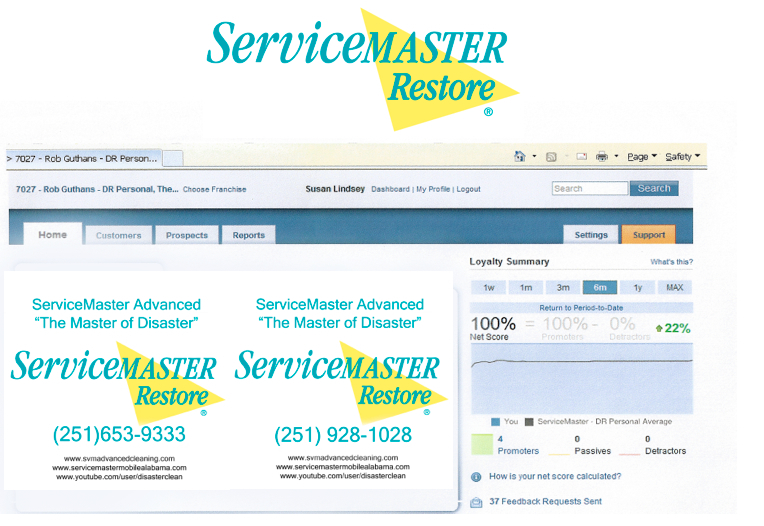 These are the numbers for ServiceMaster ADVANCED, The Master of Disaster. Another easy way to contact us is to click our website and use our app: http://www.servicemastermobilealabama.com. Simply save it to your home screen on your smart phone. 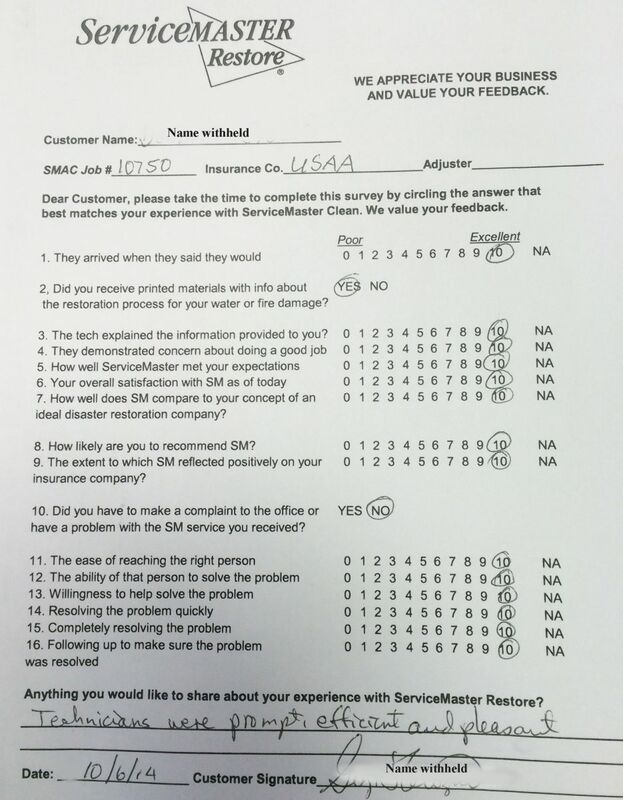 If you have an insurance agent or adjuster, make sure you tell them to contact ServiceMaster Enterprise number 7027. Wilson M., homeowner, banker - "Your ladies were very good. We really appreciate the very detailed fire cleanup work. 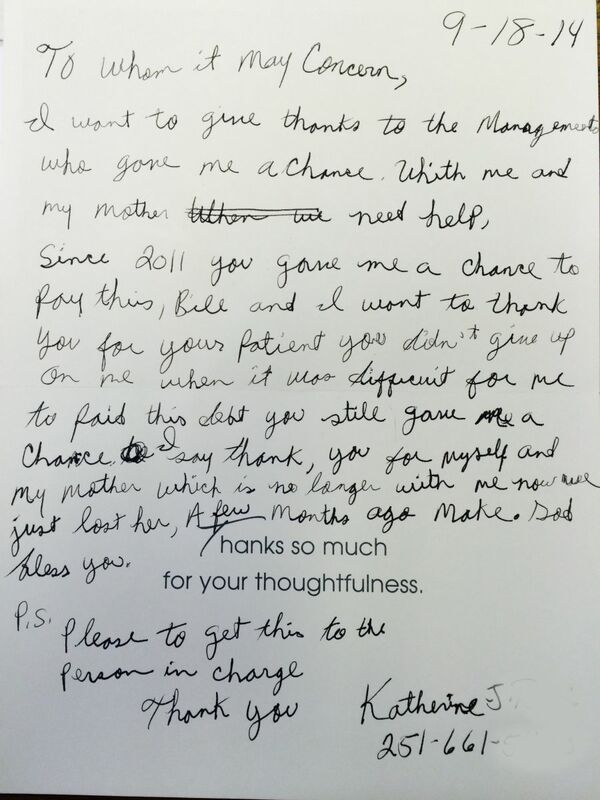 They did a great job." Lee Donald of Organizing Associates (251) 343-3999. 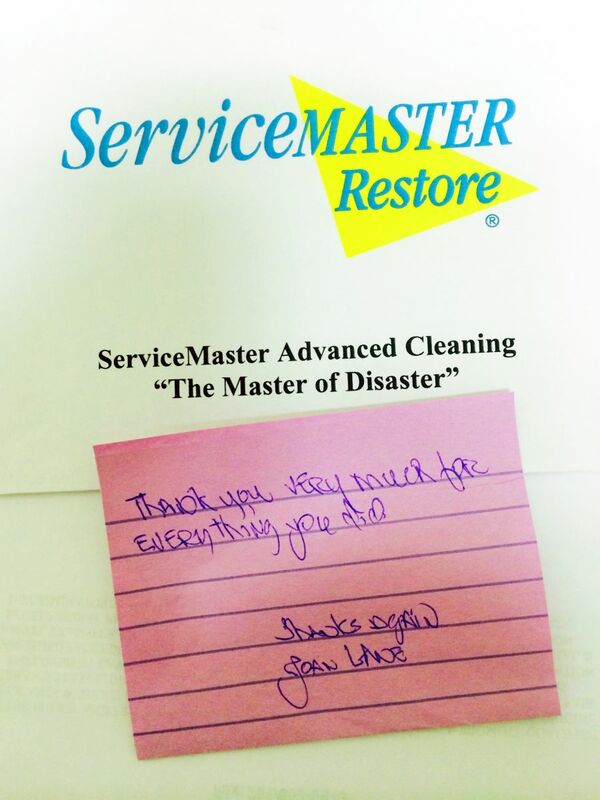 In her words: "I have worked with ServiceMaster Advanced Cleaning & Restoration with a number of clients and they have always gone above and beyond." Ricky Brown of a local major manufacturing company: "Your people always respond quickly and do a good job for us." 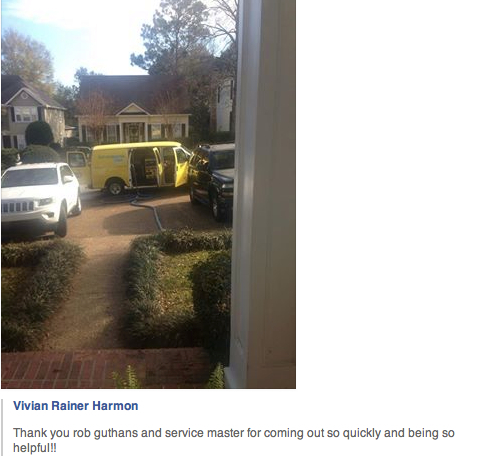 Mike with a major real estate company: "I really appreciate the quick response. Your people always do a great job for us." Mike Jones with a large local manufacturing company: "I appreciate your people coming out on a weekend evening and their fast response." 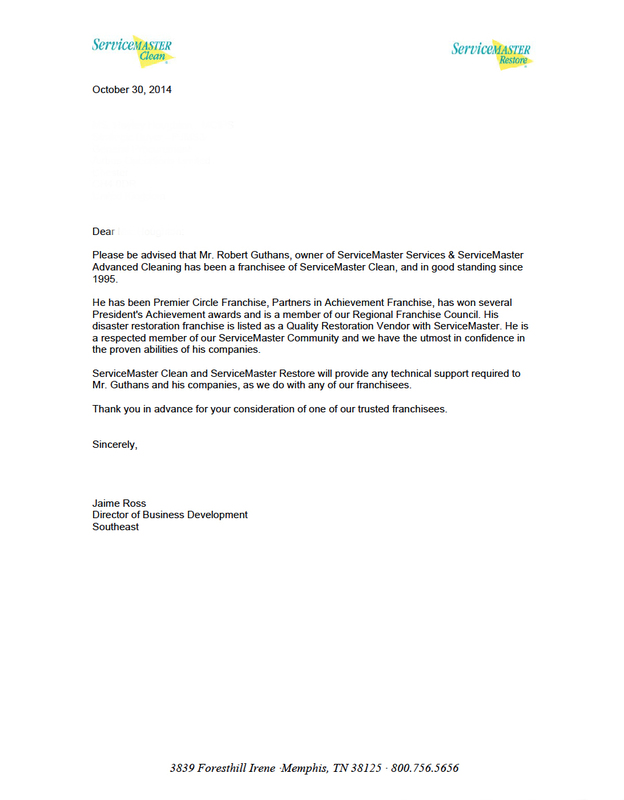 Jennifer Ikner, CFO, Homeowner: "ServiceMaster did an excellent job on my home despite my insurance company tyring not to pay for all of my loss. 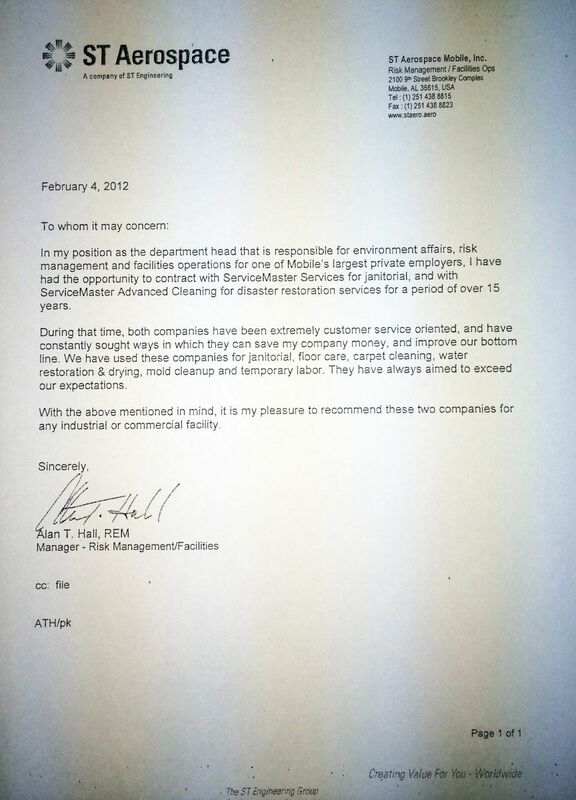 ServiceMaster worked with me to get my damage handled at a reasonable price." 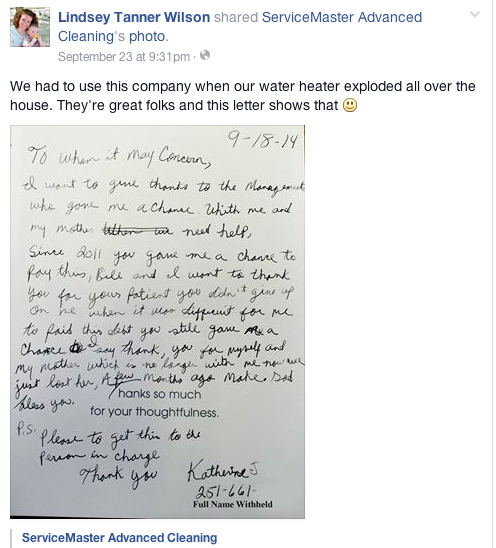 Vaughn M., philanthropist, homeowner: "Jackie and her crew did an excellent job on my kitchen fire, they were very professional." 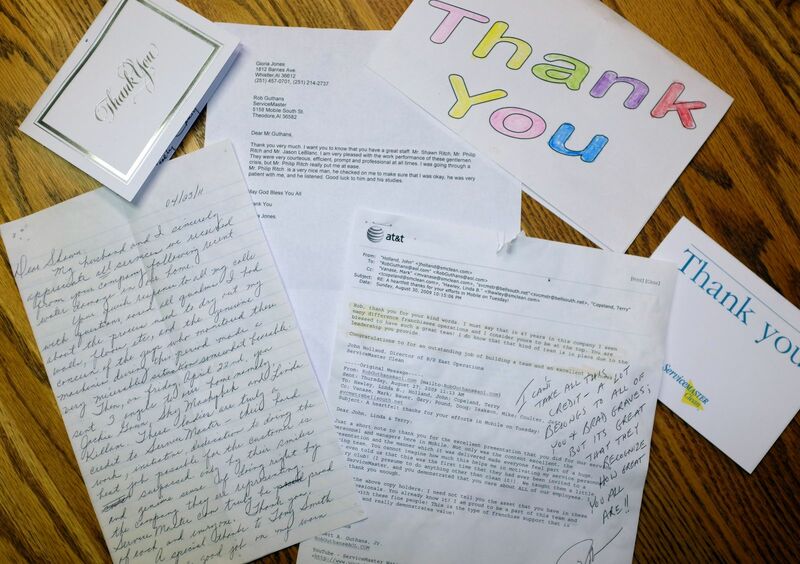 Bessie M., homeowner: "Thank you so much for the work you did, it meant so much to have people that I could trust that did such a professional job." Pictures of a few of the actual letters that customers and friends have taken the time to send. 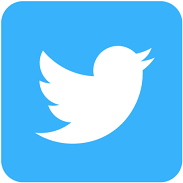 From time to time, we will add some comments and letters to this site. 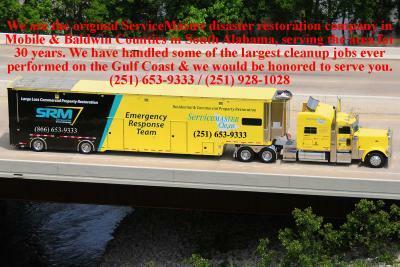 Please also see our many videos and articles at: http://www.servicemastermobilealabama.com. "We Would be honored to serve you."